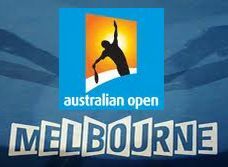 I am using the Melbourne logo of the Australian Open 2012 for the last time with a kind of nostalgia, since over the past one month I used it a number times whenever I updated my viewers about the match status and match forecasts of the Australian Open 2012. Those who followed the tournament all along, would recall that two matches drew most of the viewers traffic and interest: The semi final between Nadal and Federer and the second of course the Men's Single Final between Nadal and Djokovic. The semi final of Nadal and Federer was of great interest as the two titans of tennis world were clashing each other. It was in fact a match between a seasoned titan and a youthful titan. Everyone wanted to see as to who subdues who. But Sunday's final between Nadal and Djokovic was the history making. It lasted full five sets clocking five hours and 53 minutes - breaking all previous records of the history of tennis. Nadal made the mark by winning the first set and when the score was 3-2 in Nadal's favour, breaking Djokovic's serve, the latter threw out his raquet with a bang on the court. But then he took the newxt two sets, with Nadal rebounding and taking the fourth set. Bur Djokovic was here to make his presence felt and made sure he makes the Spanish sweat and take the winning crown for himself 5-7, 6-4, 6-2, 6-7 (5), 7-5. So this was the last of the Australian Open 2012. Those who missed it, herein under is a video from YouTube of the highlights of the Men's Single Final of AustralianOpen 2012.